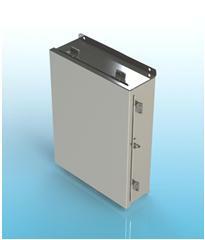 For Clarification Purposes, Nema Enclosures Manufacturing does NOT provide Nema 7 or Explosion Proof Enclosure. 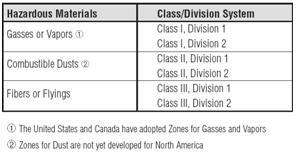 In an environment where hazardous gases or dusts are always present a Class 1, Division 1 rated is required in North America and EX d for the rest of the world. Unfortunately this is not something we manufacture. Explosion proof enclosures are typically made from cast aluminum and then machined to meet the requirements of containing a potential explosion. At Nema Enclosures we manufacture environmental rated electrical enclosures exactly to your specifications. When your electrical enclosure is being used in a hazardous location it’s important to keep any flammable substance such as gases, dust or metals from getting into it and coming in contact with the electrical components inside. If that happens, the flammable component inside the enclosure could ignite or even worse, blow up and put the entire surrounding area and people at further risk. That means safety issues, downtime, potential lawsuits, and added costs. On occasion we are asked to certify an electrical enclosure for use in a specific explosion protection application. Our response to this is a simple ‘NO CAN DO’ because we contribute only one part (albeit a critical part) of the entire development and manufacturing process of a certified Nema 4 or 4X electrical enclosure suitable for use in a Class1 Div2 hazardous application. Since we don’t know the exact hazardous conditions under which the enclosure will be performing, we can only certify the enclosure’s environmental NEMA rating and not the NEC explosion protection classification for the performance of its contents and systems in a hazardous environment. At NEMA Enclosures, our knowledge and experience in NEMA rated enclosures is so extensive, it’s in our name. The National Electrical Manufacturer Association (NEMA) uses a standard rating system that defines the types of environments in which an electrical enclosure can be used, and frequently signifies a fixed enclosure’s ability to withstand certain environmental conditions. We recommend electrical enclosures meet or exceed a NEMA rating of Type 4 or Type 4X for use in a Class1 Div2 hazardous location when used with appropriate purge systems. NEMA Type 4 Enclosures are intended for indoor or outdoor use primarily to provide a degree of protection against windblown dust and rain, splashing water, hose directed water, and damage from external ice formation. NEMA Type 4X Enclosures are intended for indoor or outdoor use primarily to provide a degree of protection against corrosion, windblown dust and rain, splashing water, hose directed water; and damage from external ice formation. Refer to our NEMA Rating Chart at http://www.nemaenclosures.com/media/pdf/NE-NEMA-vs-UL-012314.pdf for complete electrical enclosure environmental protection information. The National Electrical Code (NEC) defines hazardous locations as areas where fire or explosion conditions may exist due to the presence of flammable gases or vapors, flammable liquids, combustible dusts, or easily ignitable fibers or flyings in sufficient quantities or concentrations to present a potential explosion hazard. A Class/Division type of electrical codes and standards system is used in North America as the basis for classification of hazardous locations. Hazardous locations are divided into three Classes and two Divisions because hazards and methods of protecting electrical equipment against these hazards differ for different materials. The Classes are separated based on the type of hazard and the explosive characteristics of the material. The Divisions are based on the occurrence or risk of fire or explosion that the material presents. The Classes or type of material is further separated into Divisions based on the risk of fire or explosion that the material poses. Class I locations are those in which flammable “gases or vapors” are, or may be, present in the air in quantities sufficient to produce explosive or ignitable mixtures. The terms, gases or vapors differentiates between materials that are in a gaseous state under normal atmospheric conditions, such as hydrogen or methane, and a vapor that is flashed off from a liquid, under normal atmospheric conditions, such as gasoline. The subdivision of Class I, locations into “Divisions” is based on the probability that an explosive gas atmosphere may be present in a location. The frequency of occurrence determines the level of hazard for a location, or stated another way, the longer the material is present, the greater the risk. See chart below. Class I locations are further divided into Groups based on the explosive properties of the materials present as shown by the chart below. At Nema Enclosures we build electrical enclosures that are suitable for a Class 1 Division II classification meaning they can be used in areas where hazardous materials are present only in an abnormal condition (less than 10% of the time). A pipe break or leak in a refinery would be considered an abnormal condition. Another abnormal condition would exist if there was an arcing/sparking device present and operating in normal mode, such as a mechanical contractor or motor starter. We cannot however, offer third party certification on the enclosures we manufacture. Our certification stops at the environmental classification and not the hazard classification. There are a number of ways of protecting electrical equipment to prevent an explosion when used in a flammable gas situation or in the presence of combustible dust or easily ignited fibers. 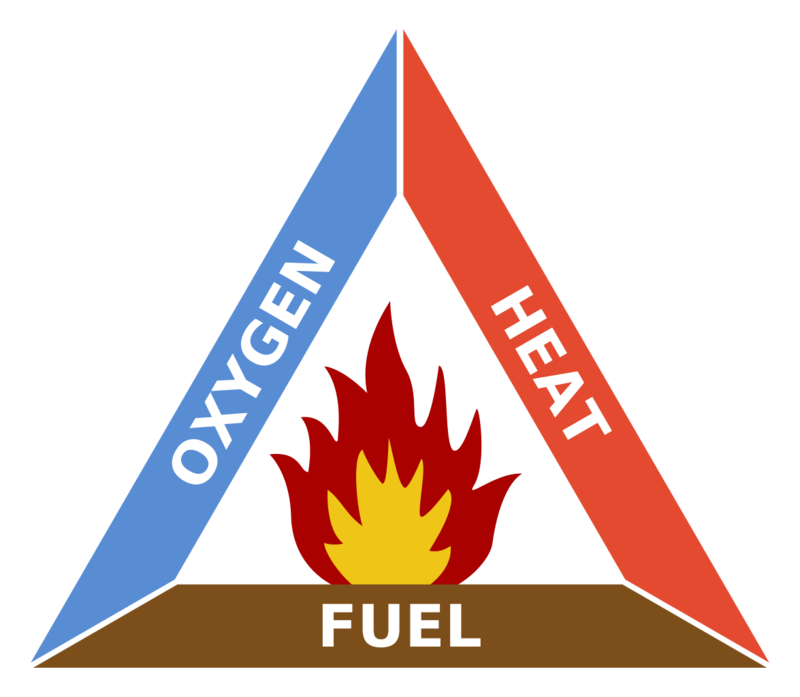 Three elements must be present for an explosion to occur – fuel, oxygen and a heat or ignition source. The fuel and oxygen must occur in the correct mixture – not enough fuel (a lean mixture), or too much fuel (a rich mixture) cannot ignite. Each method of protection addresses the Fire Triangle in some way – either by containing an internal explosion or eliminating one or more of the components necessary for an explosion to occur. Purging and pressurization prevents the surrounding atmosphere from entering an electrical enclosure by maintaining a positive pressure inside it. This is done by using clean air or inert gas to maintain a higher pressure in the enclosure than the surrounding atmosphere. When this happens, any potentially hazardous (explosive) gases would not be able to penetrate the enclosure because of the seal provided by the gasket and pressure managed and monitored by the purge control system. Typically to gain access to a purged enclosures, the electrical systems that are part of the enclosure must be powered down (through a main disconnect). This is done through an interlock system that is part of the purge. Usually the purge system requires a certain number of air exchanges after a power down to insure that no hazardous gases are in the enclosure after it is sealed. The purge system requires “instrument quality” air that comes from a source (usually from a compressor) where there is no potential for hazardous gases to be present. The result is the electrical equipment within the enclosure is safely interlocked with a system which cycles clean air within the unit to remove explosive gases before start up. There are different types of pressurization to address specific hazardous area conditions. The National Fire Protection Association (NFPA) and Instrument Society of America (ISA) define “Types” of pressurization based on the Division rating of a hazardous location and electrical ratings of the protected equipment. General-purpose and Division 2 rated electrical equipment require different means of protection, depending on their location. Type “X” – Protects general-purpose equipment in Division 1 Areas -This system reduces the classification within protected enclosures from Division 1 to nonhazardous. It is required to automatically control electrical power to all protected equipment. Type “Y” – Protects Division 2 rated equipment in Division 1 Areas – This system reduces the classification within protected enclosures from Division 1 to Division 2. All protected equipment must be rated for Division 2. Automatic power control disconnects are not required, but visual and/or audible alarms must be initiated when there is loss of pressure. Type “Z” – Protects general-purpose equipment in Division 2 Areas – This system reduces the classification within protected enclosures from Division 2 to non-classified. Automatic power control disconnects are not required, but visual and/or audible alarms must be initiated when there is loss of pressure. Electrical components inside the enclosure cannot generate enough heat on their own through normal operation to cause an explosion however; they can be at heat risk and may cause an explosion due to an excessively hot electrical enclosure surface. Research shows that for every 18 F (10 C) rise above normal room temperature 72 – 75 F (22 – 24 C) within the enclosure; the reliability of electronic components is cut in half. Therefore, it is essential to maintain a manageable temperature through proper ventilation and cooling within the enclosure. We produce a wide range of electrical enclosures for use in hazardous locations that can be customized for various methods of protection. Keep in mind that our certification stops at the environmental rating (4 or 4X in this case) of the enclosure. Final responsibility for the electrical enclosure meeting all NEMA environmental and Class1 Div2 hazard classification requirements lies with the Systems Integrator. We have just scratched the surface here in providing you with a general overview of how to specify an electrical enclosure for use in a hazardous location. Watch for future posts on this blog for more detailed information on this subject. Talk with one of our project managers when designing your enclosure. They have the experience and expertise to help you specify the right electrical for your specific application. Knowing the right safety and environmental ratings as well as the right protection option for an electrical enclosure and its contents is a safety necessity when using an enclosure in hazardous conditions. Think about it when ordering your next one. With this essential precaution, your electrical equipment and the people working around it will be safer. This entry was posted in custom enclosures, enclosures. Bookmark the permalink.